Across Europe, there is a rise of political movements that claim to challenge liberal elites and speak for the ‘ordinary person’ – movements that can be loosely categorised as ‘populist’. Many of these movements have undesirable tendencies. 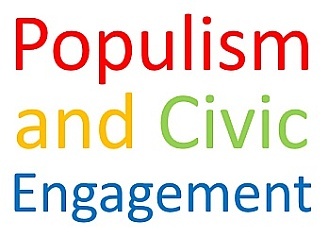 The Populism and Civic Engagement project(PaCE), with others, aims to combat the negative tendencies of populist movements, to build upon the lessons of positive examples (such as Reykjavik), and hence play a part in constructing a firmer democratic and institutional foundation for the citizens of Europe. The full poposal is linked below.